Here’s how you can make a mosaic with your Flickr photoset. 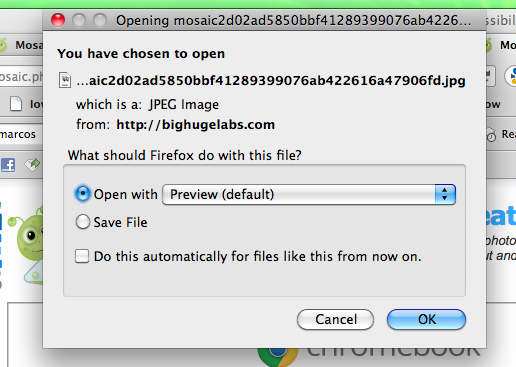 Go to the Mosaic Maker at BigHugeLabs.com/mosaic.php and decide the size of the grid you want to make. 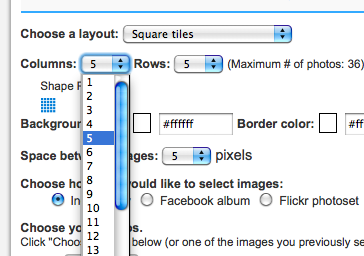 For instance, 4×6 or 5×5 are good if you have 25 or more pics. 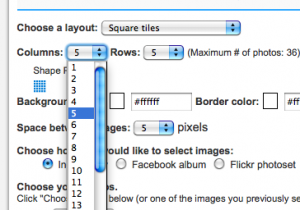 You can decide on any size or shape, and you don’t have to use all the pictures. 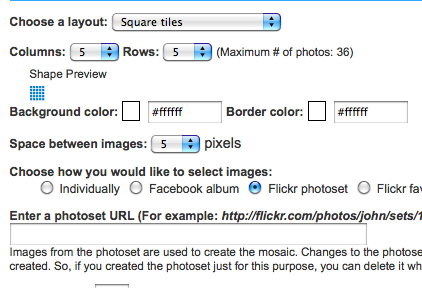 Choose “Flickr Photoset” for how you would like to select images, and paste the URL in the address bar. Then Create. Copy the HTML code so readers can follow the link back to the original photos. 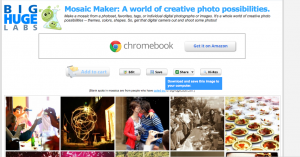 Insert your mosaic into your blog. 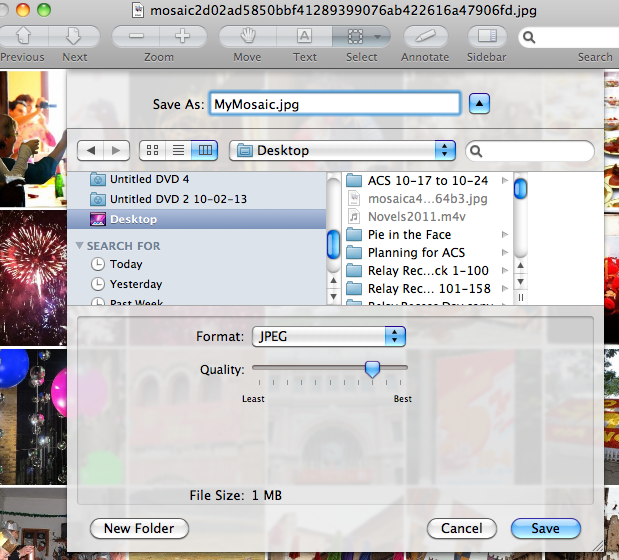 Be sure to be working in HTML editor and then, under your mosaic, insert the HTML code to link back to the photos. 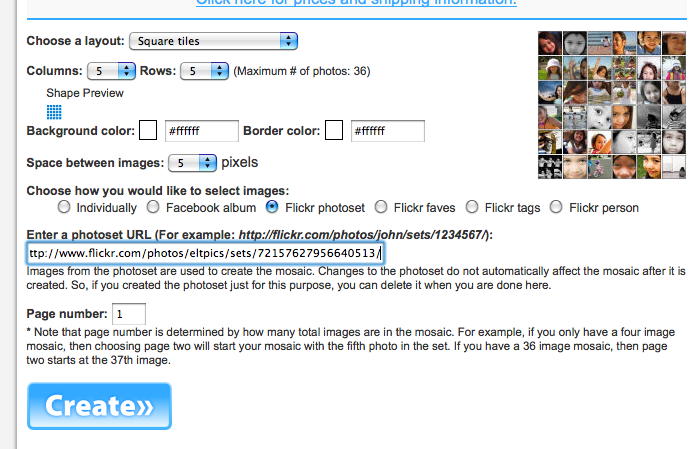 Or, like I did, you can add the code to the end of your blog post. 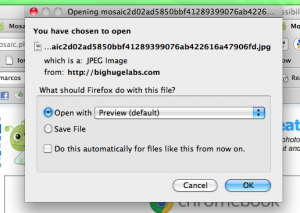 Optional, add text or shapes to your mosaic using Preview or any other photo editor you like. There you have it! 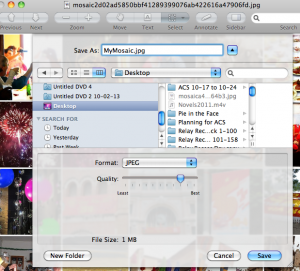 If you follow these steps, you can make a mosaic, annotate it, upload it to your blog, and properly cite it. If you have any questions, or need more explanation or images, leave a comment below and I would be glad to help. 1. cheers, 2. 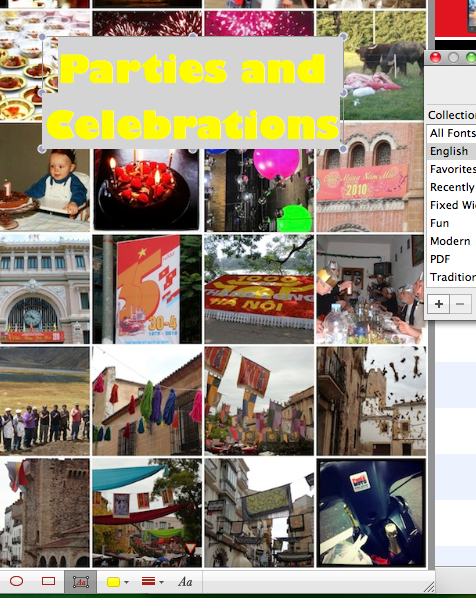 Summer solstice, 3. wedding, 4. birthday, 5. party food, 6. 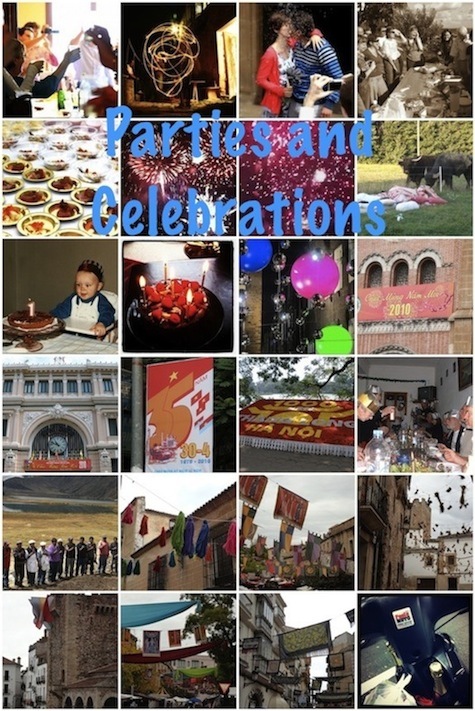 Celebrations, 7. Bonfire night, 8. after the party, 9. 1st birthday party, 10. Birthday cake, 11. Decorations, 12. Tet, 13. Tet Vietnamese New Year, 14. 35 years of independence, 15. Hanoi’s 1000th birthday, 16. Christmas dinner, 17. Independence day Peru, 18. celebrating Medieval crafts, 19. flags and bunting, 20. Medieval street bunting, 21. celebratory flags in Cáceres, 22. celebrating three cultures in Cáceres, 23. celebrating three cultures in Cáceres, 24. Birthday bike! Thank you for these wonderful instructions. I played with the 4×4 with centre photo but was not happy with the order of photos. Is there any way of changing the order? 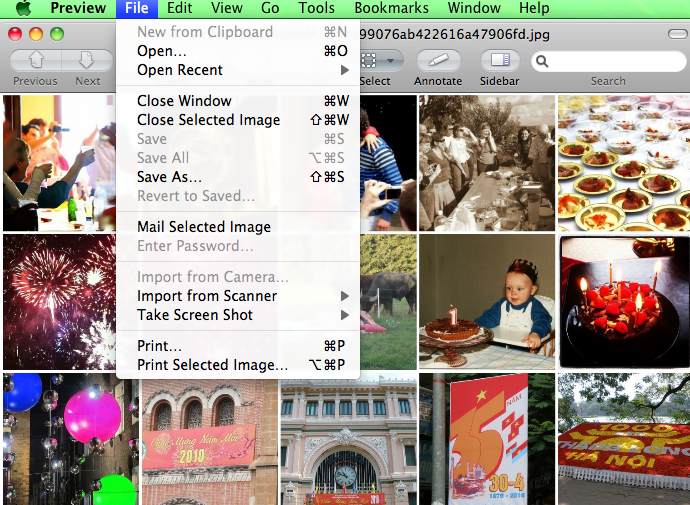 Lyn, I’m sorry I missed this, but I see you did figure it out by alphabetizing the photos in your Flickr set. Is that right? If anyone wants to see it, click on the “Christmas is Coming” pingback.